In the below eight week study, where the only change was to consume 125ml/day of Bravo Probiotic to support the immune system, participants saw a significant improvement in overall health as their immune system and bone marrow function restored. 13 x 6.2g bottles of Organic Swiss Cows Colostrum (5.7g) and microbial cultures (0.5g). 13 x 5g bags of yeasts and active cultures. Makes: 13 Litres (13 quarts) of Bravo GcMAF super yogurt (cultured milk product). BRAVO PROBIOTIC® contains over 40 microbial strains and organic Swiss colostrum. You just need to add milk. Consume: 100 to 125mls (8 tbsp or 4fl. oz.) daily for adults. Daily dose for children to be adjusted according to their weight. Note: Swill the Bravo in your mouth for 30 - 60 seconds before swallowing. This allows the GcMAF to be absorbed by the mucosa cells of the mouth / pharyngeal ring. As an Enema: For a 75Kg (12 stone) adult. Mix 20-25ml (1 to 2 tbsp) of Bravo drink with 20-25ml (1 to 2 tbsp) of 0.9% saline solution for use as an enema. Try to retain as long as possible. This can be used every day if no side effects. Note: A saline solution of 0.9% is the same concentration as body fluids (1 litre of water to 9 grams of sodium chloride). Produce approximately 490ng of GcMAF in every litre. Produce powerful immune-support molecules like lactoferrin & immunoglobulins. The final product, that you can prepare in your kitchen, contains natural (not artificially added) noble proteins, minerals and vitamins spontaneously produced by the living microorganism population in the product. The final product (made up yogurt) will keep for two weeks in the refrigerator. Note: It is not possible to use some of the left over product to produce another batch of Bravo Yogurt. This is due to the fact that Bravo powders contain colostrum which is completely used by bacteria during the fermentation process. At the end of the fermentation, no more colostrum is available in the product; this means that if some leftover is used to prepare a second batch, bacteria do not have any further colostrum to use. Colostrum is important to allow, during the fermentation process, the natural formation of molecules active on the immune system. Furthermore, Bravo formulation has been studied considering a precise ratio among the strain of bacteria and yeasts growing during the fermentation process. The cultures have to be renovated every time to keep this ratio. Mike S. on 10/Apr/2019 Bravo fixed my stomach. We love your product and Mr Kelly's expert advice. Marilyn M. on 30/Mar/2019 WONDERFUL product. There is a peace in my tummy that has not been there in years. I plan to take this every day for the rest of my life. I used this GCMAF yogurt before, and this one same quality, works well, original Gcmaf . I got product after few days in Europe, well packeged . Recommend to all. Thank you! Ginny K. on 19/Jul/2018 Love Bravo and resulting improvement in immunity! Won’t be without it. kimberly C. on 05/Jul/2018 This product has really helped with my allergies. Love it! Jan S. on 17/May/2018 Yummy , part of my diet every day. Karyl D. on 16/May/2018 The Bravo probiotic has been wonderful for my son, who has had chrinic digestive issues. It is the only natural product that has made him regular, which is huge for his overall health. Kimberly M. on 09/Apr/2018 Entire family uses. Very helpful product. My wife was diagnosed with cancer in the middle of 2017. She immediately started on a program of Bravo Yogurt. At the end of December she was declared completely cancer free. We attribute this largely due to Brave Yogurt. She intends to continue with Bravo Yogurt as a preventative. Ginny K. on 09/Mar/2018 I buy this product and use it daily to keep cancer cells from coming back in numbers...so far so good! Karen G. on 07/Mar/2018 All going well thanks, yoghurt easy to make. Hi Thomas, We recommend following the Bravo Probiotic recipe as written by the Biochemists and Medical doctors who designed the product. We do not recommend changing it in any way with any other product. Vicki S. on 22/Oct/2017 Very impressed with this yoghurt. Energy increase is very evident. Russell C. on 20/Oct/2017 Healthiest Yogurt in the world! Clients respond great, excellent food to help reconstitute the body's microbiome. Vicki S. on 20/Sep/2017 Awesome product - really works. Energy has doubled. Unfortunately this product has not worked for me, the side effects of taking it have been unmanageable - feeling irritable, brain fog and fatigue and depression that stops when I stop taking it. Everyone is different so I would still recommend trying it out for yourself but because it's only available in bulk it's hard to test it out. Michael has offered a lot of support and the service is great, thanks! The battle for the microbiome can often result in gas and bloating, and very, very, infrequently, in a generally mild Herxheimer reaction due to the release of destroyed bacterial membranes into the bloodstream. Symptoms can include headache, muscle pain, fever, chills, low blood pressure, fast heartbeat, fast breathing, flushing and anxiety. Treatment is to stop administering all probiotics and to restart at a much lower dose after symptoms have subsided. Another issue that may arise is the result of low stomach acid which allows unhealthy microbes consumed with food to proliferate in the stomach and enter the small intestine. This results in an ongoing war for the microbiome, with fermentation of carbohydrate and protein, and symptoms of brain fog, tiredness, and bloating may occur after eating or taking Bravo Probiotic yogurt. See your health professional in this case. Yvonne S. on 12/Jul/2017 This product has made a big difference to my health, my immune system is much healthier than it was. Chronic fatigue, asthma, high inflammation in my body, seem to be gone. Victoria l. on 28/May/2017 I think it's a great natural products for autism, my son like it's taste, and he could hold it in his tongue within 15-20 seconds before swallow them. Tanda A. on 17/Apr/2017 Bravo was recommended by my naturopathic doctor, and I love it! Having had Candida I love having a great probiotic product. And also I learned it lowers ones nagalase. Amanda D. on 11/Apr/2017 Easy to use kit with easy packaging. Irene L. on 06/Apr/2017 Great product . "Recently I started therapy, it seems that something is changing inside me in a good way I hope for the best. For now, just a good"
Marissa H. on 12/Mar/2017 Awesome life changer !! It is like a miracle for me. Been taking it for the past six months. I use to order it from USA as i live there sometimes. Am very happy i found your Company that ships to Manila ! Thank You !! Judy D. on 08/Mar/2017 These are all outstanding products and I am thrilled to have discovered them. They are life preserving. Jocelyn R. S. on 27/Feb/2017 product is delivered very promptly. Very happy and satisfied with the results. Dee A. on 14/Jan/2017 We are energized and healthy from our Bravo!! Fabulous yogurt with lots of probiotics! Tanda A. on 31/Dec/2016 having had Candida for most of my life I am grateful for Bravo Proviotics as they help to greatly reduce the Candida. Great product which I highly recommend! We all need good probiotics . kimberly C. on 12/Oct/2016 I don't like the taste of it but I think it's working! So that's good! Answer: We normally get reports of Bravo having a great taste, so this report is out of the ordinary. Kimberly B. on 30/Sep/2016 Thank you again, you guys are the best! I am feeling so much better already and so are my other friends who are on Bravo. SHERI C. on 02/Sep/2016 Came very quickly. I was surprised that is was delivered by DHL and was not cold? Answer: The dry Bravo powders are very stable, so they are shipped without any cooling ice. It is only to extend the shelf life of the powders, that we recommend storage in the refrigerator, away from humidity. Daniel B. on 30/Aug/2016 2 years ago I was diagnosed with Secondary Adrenal insufficiency, an idiopathic auto-immune condition that caused my body to stop producing Cortisol. This made me constantly tired as well as decreased my ability to concentrate. I was told there was no cure by my endocrinologist, and that my only option was to take daily hydrocortisone as a treatment to control my cortisol levels. I met with Natural Solutions and told them my situation. They offered me Bravo Probiotic yogurt as an option to stimulate my cortisol production. After 18 months of taking the yogurt I am now back to normal health and my body is producing normal levels of Cortisol again. So in essence Natural Solutions helped me cure my "Incurable" condition in 18 months. I would like to say a huge thank you to Natural Solutions for helping me and I am so grateful that my condition is now cured. Their non conventional approach to health was the only thing that worked for me and i'm sure they can help you too. Thanks so much Daniel Batcheler 20 years old. Answer: We suspected Daniel's idiopathic condition where his pituitary gland was not stimulating his adrenal glands was likely caused by a virus, so we recommended Bravo Probiotic yogurt to rebuild his microbiome, and to support his immune system in fighting the virus. This support system, as most often happens in these cases of unknown viruses (weakness with no known cause), works well. Stella L. on 11/Aug/2016 My son has finished the 3rd liter of the Bravo Yogurt and I have observed adverse reactions from consuming the yogurt (he had been casein free for about 3 years). I hope that the yogurt will replenish his gut with good bacteria and help him fight the pathogens and at the end, help him heal his gut and restore his immune system. Answer: You can either mix 10ml of Bravo yogurt with 10ml of 0.9% saline solution for use as an enema for your son and this will overcome the casein intolerance problem OR you can switch to Bravo Suppositories. No doubt the best way to restore the gut microbiome is when taken rectally. Dee A. on 10/Aug/2016 We love our Bravo!!! We have more energy and are doing better with our allergies on it!!! Boil 1 litre (quart) of whole cow's milk, whilst stirring slowly and continously. Milk boils when it blows up to the rim of the pot. Do not over boil the milk. Let it cool down to room temperature (20-30°C or 68-86°F) with an aluminium foil cover over it. Mix in the contents of the bottle and the bag. Leave it covered at room temperature (out of drafts) for 24 - 48 hours (until it sets). Mix well. You may wish to sieve it. Refrigerate at least 2 hours before drinking. Keeps for 14 days in the Refrigerator. Goats, Sheep, & Camel milk may be used (tends not to thicken). Do NOT use rice, soy almond or lactose-free milk. 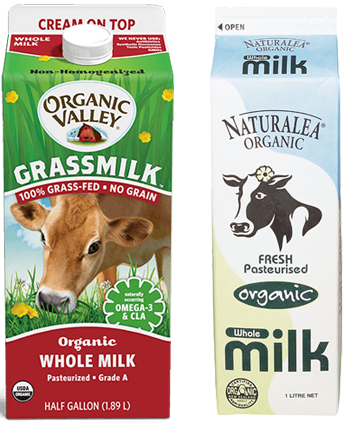 Do NOT use milk with EXTRA added vitamins A and D.
Do NOT use UHT milk as most of it´s milk proteins are damaged. Keep all preparation utensils very clean so as not to contaminate the Bravo with other food or microorganisms that may interfere with the fermentation process. Use paper towels for drying and immediately discard them. Lactose intolerance can be successfully overcome with Bravo Probiotic yogurt. Bravo has a long fermentation time (24 to 48 hours) which uses up the lactose, and we have found that lactose intolerant children, after a few months of receiving lactose fermenting microbes, in daily Bravo Probiotic yogurt, can then eat cheese, or drink milk with no problems. Bravo Probiotic yogurt contains caseins and whilst caseins are not themselves allergenic, some of the peptides produced by casein degradation in the stomach, may cause irritation to the digestive system. In these cases Bravo Probiotic Yogurt should be given either as a suppository, or as an enema. All mammal’s milk may be use. Though Cow’s milk is generally used, we have reports of Goat, Sheep, Camel, Lama, and Donkey milk being used successfully, though often the consistency is very runny. We also have experience of people using human milk, which whilst technically doable, may be illegal in some regions of the world. If mammal’s milk is not for you, then Coconut milk is best, as it has a number of healthy molecules by itself. However this solution will lack the 236 new peptides, formed by fermenting mammal’s milk, and so, whilst this solution is excellent at rebuilding your gut and brain microbiome, it does not have this peptide immune support effect, of the mammal’s milk ferment.